The Marananga Wine Show is unquestionably one of a kind. An initiative of St. Michael’s Gnadenfrei Lutheran Church that stands at the gateway to the iconic avenue of palms along Seppeltsfield Road, it’s the only wine show in Australia that is run by a church. Yet, what makes this show truly special is that it’s also Australia’s only sub-regional wine show. Exclusive to wines made from grapes grown only within the Western Barossa sub-region, the show offers a unique, in-depth appreciation of one of the Barossa Valley’s most highly acclaimed districts. 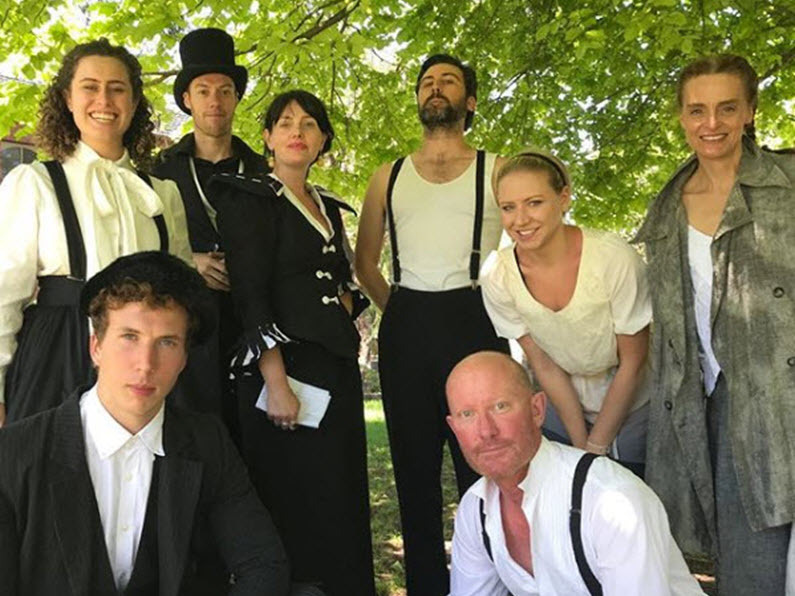 Now in its fifteenth year, this infectious, feel-good show is an annual celebration that has found its way into the hearts and palates of the Barossa and wider community. Visitors return year after year because it gets under their skin. 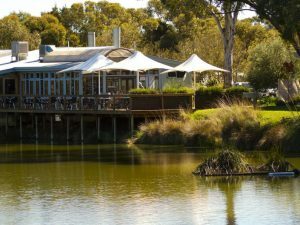 It’s a marvellous way for both local and visitor alike to dip their toe into an unmatched, authentic Barossa experience. Founded in 2004, the philosophy behind the show is to help small producers in the close-knit community benchmark their wines. 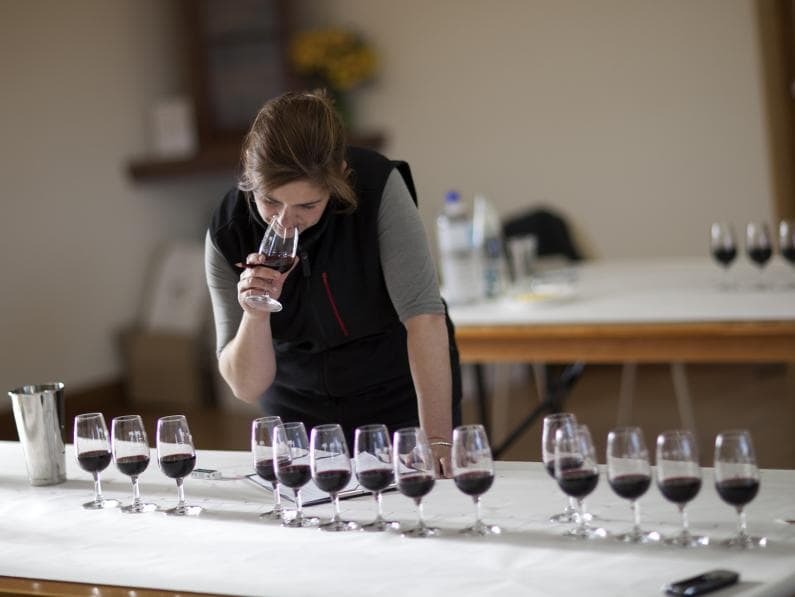 In the same way that a cattle show endeavours to better the breed, the invaluable feedback of a wine show judging panel can help winemakers hone their skills for future vintages. Many of the local winemakers, keen to receive feedback but making volumes too small for entry into national shows, were seeking a solution. The church, looking to serve its community in a practical way that reflected local tradition, recognised the need and stepped in to help. The Marananga Wine Show was established to be inclusive to all producers in the area, regardless of their size. What began with a majority of hobbyists has become the must-enter show for producers large and small. Iconic Barossa names like Seppeltsfield and Hentley Farm line up alongside small-batch winemakers making wine from tiny plots of land, all benchmarked at the same national standard. 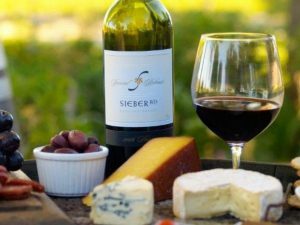 With the vineyards in the area long known for their outstanding quality, it hasn’t been hard to attract high-calibre, national wine show judges either. The wines are judged to Australian wine show standards, contributing to the credibility of the show and the value of feedback to winemakers. 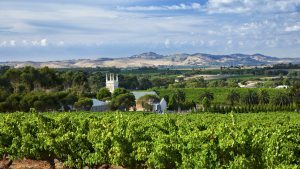 15 years on, the Western Barossa sub-region produces some of the Barossa Valley’s finest wines, and there is no doubt in the minds of the locals that the wine show has helped realise this level of excellence. 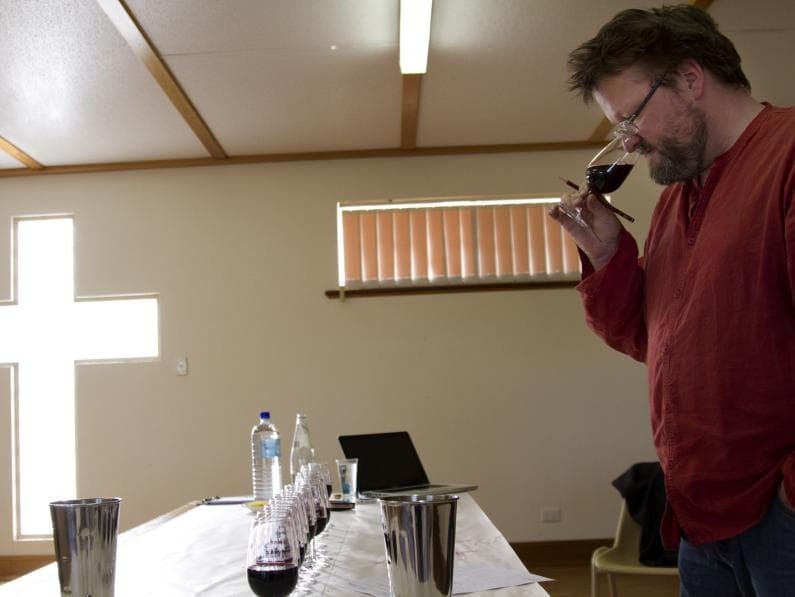 In another delightful peculiarity, St. Michael’s Gnadenfrei Lutheran Church in Marananga is one of the few Lutheran churches in Australia that makes its own wine, a small-batch blend of red varieties hailed as Mixed Blessings. In a gesture of generosity and characteristic community spirit, the fruit for the wine is donated from the local wine fraternity, blended by a local winemaker, and sold to raise funds for the church. And while the wine show itself is not a fundraising exercise, it makes donations to the Nuriootpa High School and Faith Lutheran College wine programs to invest in the next generation. Integral to the neighbourhood’s lifeblood, the church and the local wine industry have indeed created a lovely, symbiotic relationship. A highlight of the show, the Saturday evening public tasting has gained cult status. Held at the historic Seppeltsfield Vintage Cellar, this is a rare opportunity to sample a wide selection of wines that showcase the Barossa’s western ridge, with all 120 entries available for tasting. Thanks to the region’s emphasis on reds – Shiraz features strongly, along with mainstays Grenache and Mataro. Smaller classes of other red varieties, rosé, fortifieds and whites also offer exciting discoveries, so there’s plenty to keep all tastes gratified. 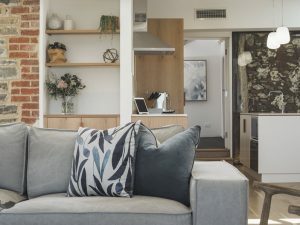 Barossa icons taste shoulder to shoulder with wine lovers from around the country, including those from just around the corner, or the group who make their annual pilgrimage from inner-city Sydney. Winemakers and growers taste the fruits of their labours. And everyone is up for a chat, celebrating the efforts of their peers, waxing lyrical about the special plot of dirt that grew their grapes, or singing the praises of a gem they’ve just unearthed. One taster, overcome by the charms of a newly discovered wine, was once overheard proclaiming to his neighbour ‘you really must try this, it’s a truly great wine,’ only for her to reply, ‘thank you so much, I’m the winemaker’. Guests also have the opportunity to cast their vote in the Appellation at the Louise People’s Choice Award. A selection of trophy winners and highly awarded wines are brown-paper-bagged and lined up for the guests to taste, choose their favourites, and see if they agree with the judges. Best in Class, Best Wine of Show and Best Exhibitor trophies are presented at the end of the evening, culminating in the announcement of the coveted jewel in the crown, the People’s Choice Award. Winning a trophy at the Marananga Wine Show is often a predictor that the wine will go on to do well at the Barossa wine show, and it’s not surprising to see wines also win further afield at national shows. 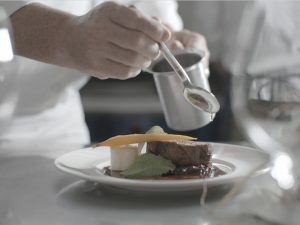 The Barossa is renowned for its spirit of community and sharing, and this is made more potent, endearing, and engaging when it’s distilled to an even more close-knit, sub-regional level. Come along and see why this surprising wine show envelops everyone who touches it. The Marananga Wine Show public tasting provides guests with the rare opportunity to stand shoulder to shoulder with growers and winemakers, taste 120 wine entries and cast their vote for the People’s Choice award. Tickets are AUD25.00 and include a tasting glass and light refreshments.